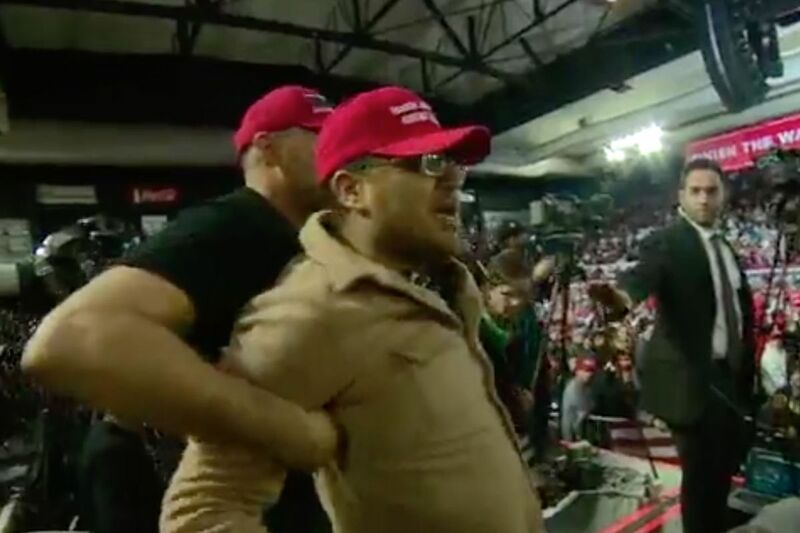 A BBC cameraman was assaulted during Trump’s rally in El Paso. Trump kept attacking the media anyway. A BBC camera operator was attacked at a rally held by President Donald Trump in El Paso, Texas, on Monday – one where the president repeatedly goaded his fans into booing the media. BBC editor Paul Danahar tweeted on Tuesday that in light of the incident, he’s asked the White House to review security arrangements for members of the media covering Trump’s rallies. “Lock her up!” chants rain down after Trump accuses Hillary Clinton of colluding with Russia. As was the case both during his presidential campaign and the recent midterm cycle, attacking the media was one of Trump’s central themes on Monday night. At one point, he called fact-checkers “some of the most dishonest people in media.” He also mockingly mimicked reporters who try to cover him. This incendiary rhetoric has consequences. In late October, a Trump fan sent package bombs to a number of regular targets of Trump’s verbal wrath, including CNN. Days later, another man, motivated by conspiracy theories about migrant caravans, opened fire at the Tree of Life Synagogue in Pittsburgh, killing 11. Trump bragged about coming up the “caravan” term during Monday night’s speech. The news moves fast. To stay updated, follow on Twitter, and read more of Vox’s policy and politics coverage.